There's nothing better than a successful failure. Sometimes, science can take an unexpected turn. While trying to develop a new kind of high temperature storage battery, MIT researchers accidentally stumbled upon a new, more efficient process for smelting metal -- one that's potentially cheaper, safer and less harmful to the environment than traditional ore processing. MIT Professor of Materials Science Donald Sadoway had originally intended to test a new chemical configuration of a high capacity battery, but the experiment wouldn't hold a charge. "We found that when we went to charge this putative battery," he explained to MIT News, "we were in fact producing liquid antimony instead of charging the battery." 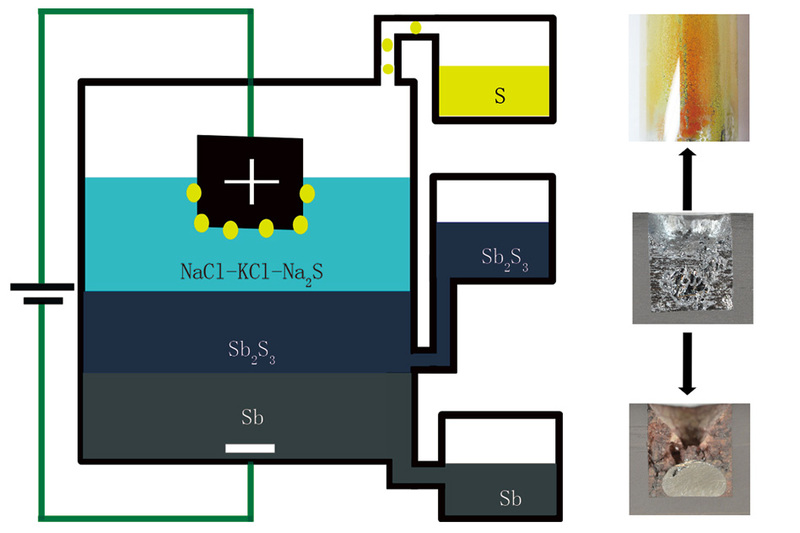 It turns out, a new element added to the experimental battery acted as an ionic conductor, causing the antimony sulfide in the experiment to separate. It turned out the battery was performing electrolysis, and the metal it was producing was 99.9 percent pure. That got the researcher's attention -- traditional smelting produces large quantities of greenhouse gas, and is a significant contributor of air pollutants. Sadoway's accidental smelting process produced almost none. The team did further tests with antimony, but says the process could apply to other metals. "We could imagine doing the same for copper and nickel," Sadoway says, "metals that are used in large quantities." If the process was adapted to other metals, it could reduce costs of production and put less harmful gas into the atmosphere. That's win, win.